Wise Secrets of Aloha, Harry Uhane Jim Learn and live the Sacred Art of Lomilomi. When the surf board shakes and bends, hawaiian duck and curl.ARE YOU FEELING THIS ENERGY THIS MORNING? or am i ring bananas? Heavy, sticky, violent almost like mother earth is angry? Earth is shaking off confrontation energy with the extra pressure being put on the Continental plates from the axis degree change. ten degrees since the japan tragedy. Spells political and surface wave shift in focus. in humans. the reaction shall be either embrace or reject the in titled you. your going to deal with it. Ho'oponpono Skills highly Valuable here . know friend, community, companionship, relationships with growth. people who know are loved and enough. more than the tribes of the feathered nest. there is another way and it is the way of aloha. we navigate there with our emotions growing safety as we touch each other with our counciousness. Web. Collect Cluster Aloha will be there to endorse us. aloha knows us all -Aloha is the current from or soul to our loved. father, mother, child as one… If I , my family relatives, and ancestors have offended you, your family, relatives, and ancestors in thoughts, words , deeds, and actions, from the beginning of creation to the present, we ask your forgiveness… Let this cleanse, purify, release, cut all the negative memories blocks, energies, and vibrations and transmute these unwanted energies to pure light. As it is said, it is done. "Reverse your thinking and see through the eye of the fish". "Your mind will rush the fish to the net". ..‘Kahea... call... Go Uhane! try. "Try" he said. ohi i did. the jojo rush to the net , just like Grampa..... That moment Grampa turn into a God. my personal god. Harry Uhane Ekau Jim aloha moi. the best best . Grand pa ..... he take the dojo to the kitchen. heat the small wok, put soy sauce with Roasted sesame oil .. makes crispy. hot salty jojo . match with fresh poi. Life’s pleasure,. Gratitude. Good morning / Grace receiving Gratitude: Bodacious with vision facing the Eastern Seaboard of North of America, I recall being in two hurricane's; Iniki and Eva. On Kauai: Hawaii: In BOTH tragic catastrophes, the island woke up: Watched the water drop from their faces, and minds, sourced In what they saw Destroyed. Then,... say from the morning after forward: “everything is going to improve. “ Our halau and ohana (school and extended family) ask you to share in the thought of these words for Making things PONO; putting in rightful Everywhere and All wherever . DIVINE CREATOR: Father Mother Child as one; If I, my family, relatives, and ancestors in thoughts, words, deeds , and actions from the beginning of our creation to the present, We ask your forgiveness... Let this Cleanse, purify, release, cut all the negative memories, blocks energies and vibrations and transmute these unwanted energies to pure light... and it is done. Gratefull to share orbit with you. harry and sila , children, and haumana. A HUI HO' untill we meet again. PLEASE REPLICATE THESE WORDS AND WAVES OF THIS INTENTION AS OFTEN AND DEEPLY AS FELT. Navigating with the Best of your self. : There primary directives of the universe. This is a Universe of Discovery, we show up not knowing. All creations of this Universe are co'created. We show up in the father mother form. Divinity is Heart of the matter flowing. The best of us is an act of navigation. . Animating the word MAHALO; ma- in ha- divine lo- presence-- gives us path to animate the heart's knowing, bound to Divinity's River of support. This in hawaiian is called Malu I'o. the peace continuum. simply put, we are all in a river of love, and peace will prevail. Uncle ! Thank you for more expressions of humility. Miracles are not really made, they are discovered. When we follow the loving principles of aloha.ALOHA manifests the values that help us find our sacred place.Modest enough not to try to impose our terms on the meaning of life in harmony with the gods, goddesses, God and the land;Truthful in all our associations and with ourselves;Humble enough to let the loving energy of miracles fill us;Patient enough to realize that it is our serenity that gives us the spiritual fortitude to remember that, in time and if we allow it to be so, it is our destiny that goodness will prevail.Our ancestors have taught us that life is so precarious that it is also so divinely precious. We find our place in paradise when we recognize, embrace, and are able to celebrate our destiny. Consult service, came up this month back , by phone from South Africa. Young man 23, Totally committed to find the right words for his Bride next Month, He Reads our Book, Wise Secrets of Aloha, and Ask” Uncle Harry! oi? may i pay you! to help me Write my Vow to my Wife? NO! here it is with Christ love for both of you!My God is my woman. She is my nurture, my oasis for my soul. I am her man. We share physical, emotional, and spiritual orgasmic experiences and places .. My wife is the best woman and most loved woman of creation. Our Marriage domains Genesis: We conceive, Birth, and Parent creations in service to the Creator. We Love each other, we love you. aloha! love to give light to this one issue here Thank you! so here is my approach to the subject of JEALOUSY . the jealousy issue for me has been constantly one of feeling unsafe WITH, AND FROM those who project feeling un safe. it is a feeling and not a rational, so the emotion does not evolve, but rather conveys the boundary of people's capacity to be in relationship with you for a positive direction... The formula i use at work is when you raise your vibration three CHOICES happen to your friends an family they try to meet you at your new vibe , they try to pull you down, or they leave, no one rises to a new vibration on the energy of another. it must , it must be simply a reflection.. this is the flow of the christ/budda, and Muslim counciousness. ha. good hope that helps. aloha nui DIVINE. ,911 2011 Ho'oponpono......From Halau Uhane Lomi Lomi Lapa'au.. Tradition hawaiian Touch medicine. Ti Leaf and Orchid roomgardens,... I Slow time, SHUT, time down,... now. ....now,, kahea kuana;.. “I Call me to my place in this universe” ...to Feel sorry In this day in memorial., as divine’s forgiveness beat from our hearts. for whatever where ever, we are un haunting The memory, hurt. and Thank you, Thank you for our chin low. We love you Mother earth. And good to Really really see ,OUR trees who take our wet tears, and raw waste to build wood and leaves to take our dirty breath and clean it returned. we love you. grace receiving gratitude. 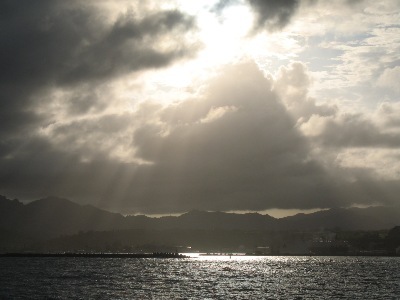 aloha nui... in Christ light we see. Dusk shines shadows east, as the dirty yellow and orange moon rises over the Rehoboth Beach board walk, In Delaware, facing The Atlantic Ocean! Yellow Curry, and Padthai, This Teaching Hawaiian healing--- is a gig with perks. Tasting Atlantic. Salt water. Smell the same as pacific, but Dense, Like Gray in color, Not our feast of blues in hawaii.